Provisional results put him ahead of another opposition candidate Martin Fayulu, and the ruling coalition's Emmanuel Shadary. President Joseph Kabila is stepping down after 18 years in office. He had promised DR Congo's first orderly transfer of power since the country's independence from Belgium in 1960. 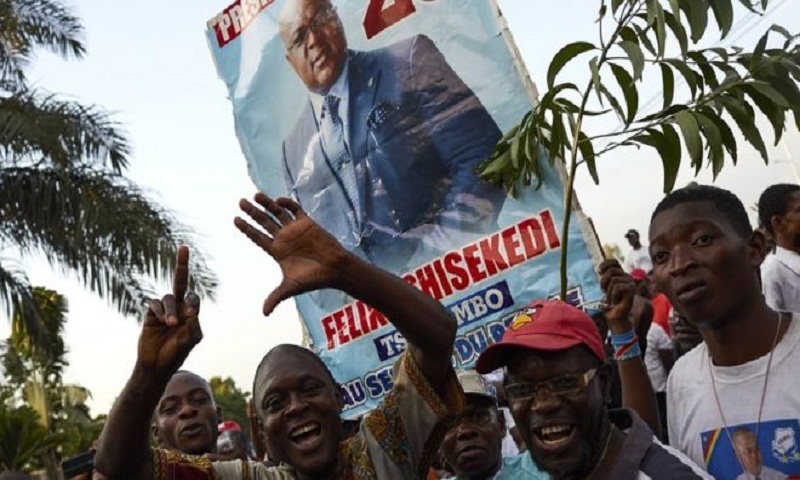 In the early hours of Thursday the head of DR Congo's National Electoral Commission (Ceni), Corneille Nangaa, said Mr Tshisekedi had received "38.57% of the vote" and had been "provisionally declared the elected president".